As the saying goes, ‘there is no such thing as too many photos’ –cheap stock photos to be exact. In the world through the eyes of the World Wide Web, it pays to be unique to stand out among the crowd of online information. Moreover, it is never enough to use the same image over and over again and it is never pleasing to copy images used by other websites or download a few from the display area of a search engine result. In short, you deserve content that specifically matches the nature of your website as well as your niche. Your content speaks for your site, and hence, you need nothing less than what your site truly deserves: exceptionality and style. See here. Pond5 is the World’s Stock Media Marketplace. Finding the site to download social media savvy images for posts is definitely handy. With Pond5, you can narrow down results that match the nature of your niche – it is content rich with more than nine thousand (9,000) stock photos and more than one hundred (100) vector illustrations. Not only that, it also has a collection of footages, audio, after effects, and 3D models that will surely fill all your content needs. The cost for each image heavily depends on the resolution. Costs can range from $2 to $100, but there are also low resolution images that are free. For example, a regular 900X600 to 1800X1200 image can cost around $2, whilst a 7000X5000 image can go high with a range of $10 to $30. iStockphoto is a haven for royalty free stock photography images. With iStockphoto, you have the power to explore millions of images, illustrations, videos, and music clips at “ridiculously” great prices – not only from your PC or laptop, but from your phone as well. Browse the site through your mobile phone with the iStock app for iPhone/ iPad. Moreover, get the incredible chance to obtain free stock files (photo, illustration, video clip, audio clip) every week. You can pay with credits or subscribe. Six (6) credits for $60 include a package of 6 essential images, 2 signature images, and 1 essential video clip whilst 100 credits for $1,250 includes 150 essential images, 50 signature images, 25 essential video clips, and 8 signature video clips – insanely enough to fill all the content needs of your website. Fotolia is an image bank with over 41 million images. When it comes to simplicity and usability, Fotolia is an easy choice. The payment plans are incredulously easy. A Pay-As-You-Go plan for one image can go as low as $0.74. In terms of subscription, a one month subscription for five (5) downloads per month starts at $25 (one image at $0.64). For a daily subscription for 25 downloads per day, subscription rate starts at $249. Moreover, if you wish to download more, you can go through Fotolia’s easy monthly plans, the basic 10 medium images or 5 XXL images is at $25. The largest package is at 2,000 medium sized images or 1,000 XXL sized images for $800 (with which you can save up to 84%). Shutterstock has over 50 million stock photos, illustrations, vectors and videos. With Shutterstock, not only do you get images, audio, and videos but you can also get vectors, icons, footages, and music. Moreover, an average of 400,000 stock images is added every week. To add, free images and vectors are also given every week for free. The most basic plan is $49 for 5 downloads. A one year subscription for 750 images every month can go as low as $199 per month, a six month subscription can go for $224 per month whilst a single month settles for $249. In conclusion, the best-buy way to get more and spend less is to go for a subscription plan. This way, you can obtain as much content as you want to and get it for a much cheaper price. It pays to get the right content, and it is not feasible to just grab one from the internet. Copyright laws have protected ownership rights and violating such law can have massive consequences. One huge factor why you should use stock photos is that you will have the power to make your website as pleasing as possible with high resolution images. The most you can make from a search engine result is maximum 2000X2000, which is not suitable to use as a slider, image for a post, header, or background. Moreover, stock photos are pre-designed to be suitable for a wide range of niches – you can edit, input your caption, and make it uniquely yours. You can also procure suitable designs with large scale vectors for an ambient feel in your site. However, you don’t have to spend much for aesthetics. There are cheap stock photos with which you can purchase and use – or even get some for free. Furthermore, there are suitable photo banks where you can get the appropriate content that will satisfy all the image needs in your website. Before settling with a subscription, you can browse the photos first to know which photo bank suits your needs and your niche. One you have identified the stock photo website, you can then settle for a subscription plan that will match the amount of images you will need with the amount of money that you are willing to pay for. It pays to explore your horizons and settle for a stock photo bank where you can make the most from your subscription. The best thing about cheap stock photos is that you can use them anywhere. You have the license to use them in any project for as long as you please. Aside from a business site, blog or marketing campaign, cheap photos can also be used in one the fastest growing educational tools in the world – eLearning. Check here. Thanks to cheap stock photo sites, eLearning professionals can now download and use them on their courses without spending too much of their project budget. Create a character to guide learners throughout the eLearning course. A consistent character creates a sense of immersion while giving your audience guidance and support. Fortunately, cheap stock photo sites has a myriad of model images with releases that you can use as character legally. When choosing a character, make sure it is relevant and relatable to your audience. Integrate cheap photos with great detail. Download and use a clickable image that offers great details in order to make complicated matter easier to understand for your audience. If you are teaching about a subject matter that involves steps or a procedure, feature an image that gives your audience an overview of that specific task. Develop engaging and immersive scenarios. Create interactive eLearning scenarios with stock photos cheap to help your audience learn about real world applications of your subject matter. You can use a different stock photo cheap for each screen and have your audience to make a choice that will take them to the next photo. This makes your eLearning course more engaging and exciting. Use cheap stock images as metaphors to illustrate a boring or complex topic. There will be times when you will face complex or boring topics in your eLearning career. You want to be able to convey your message clearly to avoid confusion and to make your course fun to boost information retention. Metaphorical cheap photos is the solution to this predicament. Boost emotional connection with attractive cheap stock photos. Sometimes, cheap photos are all you need to make a connection with your audience. The key is being compelling and making that image trigger an emotion to help your audience absorb information more effectively. This way, you can minimize your text usage to create an emotional connection make the eLearning experience inspiring and powerful. These tips can give you the power to design fun and effective eLearning courses that will benefit you and your audience. Learners are not entirely in favor of reading heavy text eLearning materials. These materials will not help them achieve their goals either – even if they are highly informative and well-written. So, why not include cheap stock images? 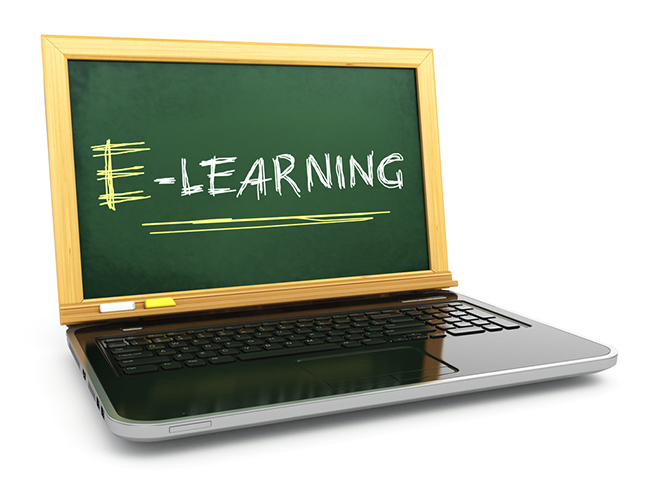 After all, they enhance the overall value of your eLearning course.